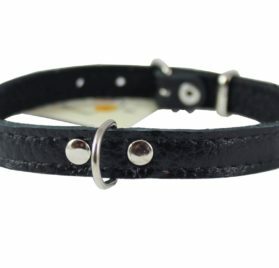 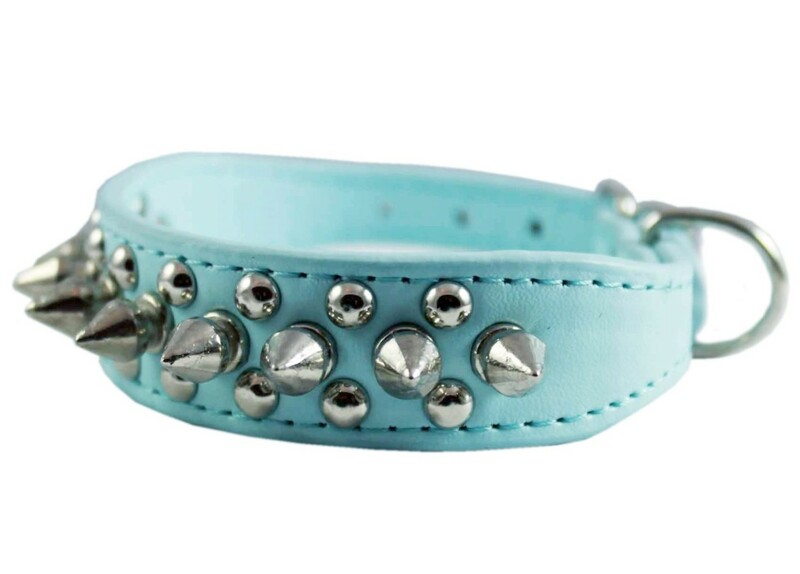 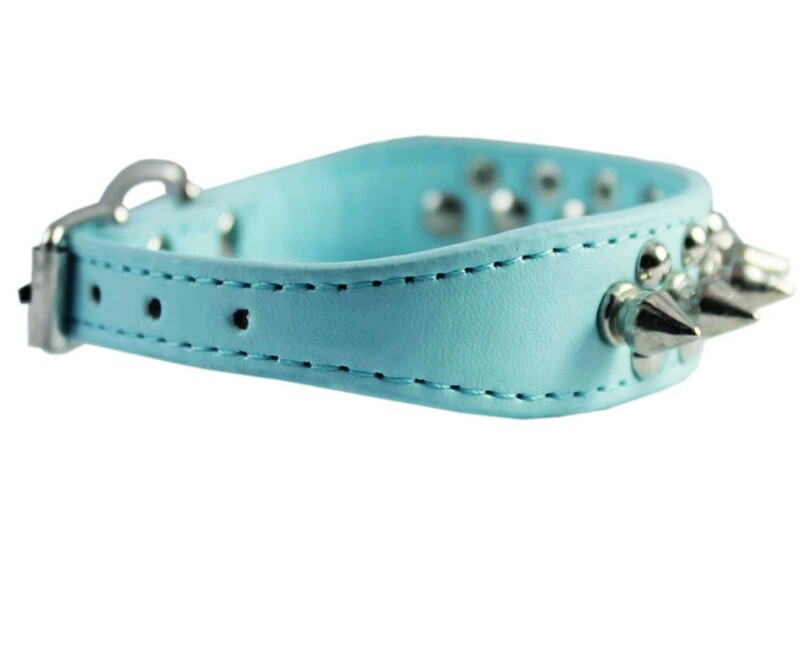 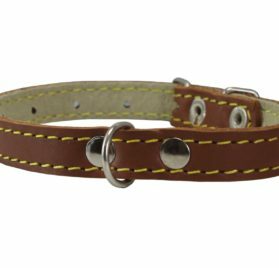 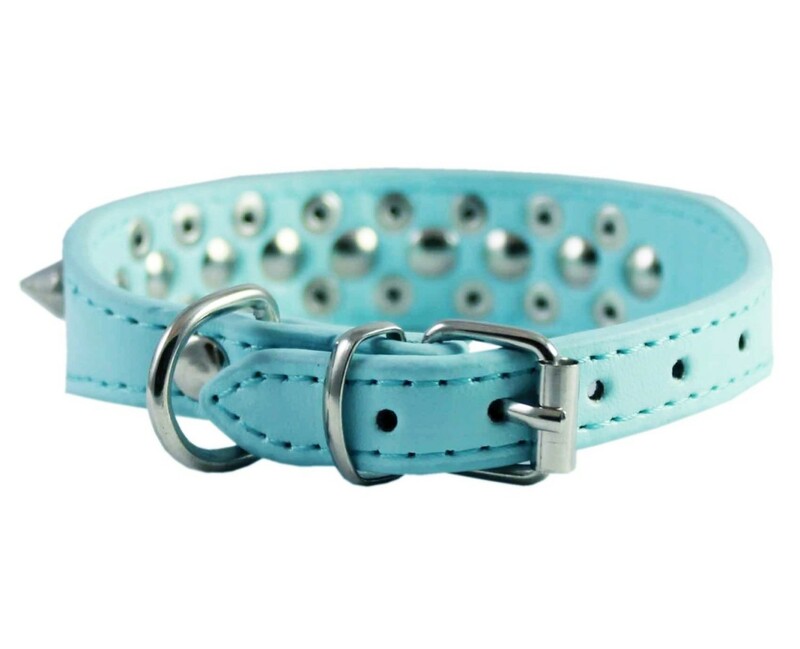 This beautiful 1″ wide spiked and studded collar is made of quality PU leather. Features 9 dull spikes and 16 studs. 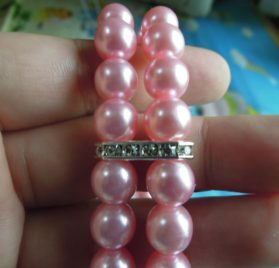 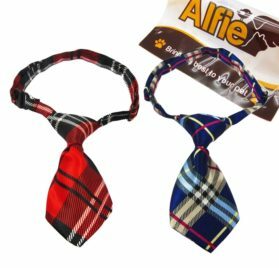 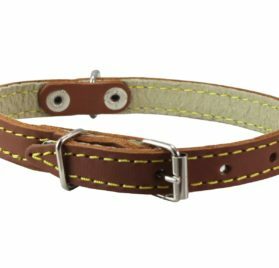 This size will fit 8″-10″ neck and designed for X-Small/Small breeds – please measure your dog for fit before you place the order. 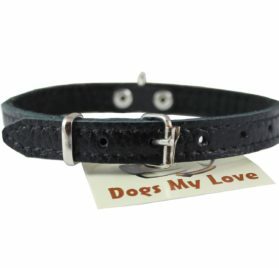 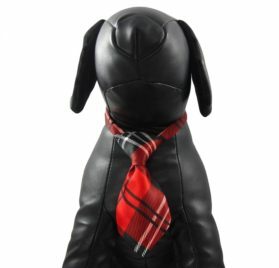 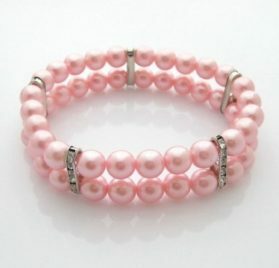 Tags: best collar for chihuahua, Chihuahua Basic Collars, Chihuahua Collar, Chihuahua Collars, Chihuahua Dog Basic Collars, Chihuahua Dog Collar, Chihuahua Dog Collars, chihuahua leather collars, chihuahua puppy collar, Chihuahua spiked collar, chihuahua studded collar, chiwawa dog collars, Collar for Chihuahua, Collars for Chihuahua, collars for chihuahua puppies, collars for chihuahuas, cute chihuahua collars, Cyan Faux Leather Collar for Dog, Dog Basic Collars, Dog Collar, Dog Collar for Small Breed, Dog Collars, dog collars for chihuahuas, Dogs My Love, fancy chihuahua collars, Leather Chihuahua Collar, Leather Dog Collar, Pet Basic Collars, Pet Collar, Pet Collars, Spiked Studded Dog Collar, Studded Dog Collar, Teacup Chihuahua collars, teacup Chihuahua dog collars, tiny chihuahua collars.